Washington: Pakistan released Taliban co-founder Mullah Abdul Ghani Baradar at US' request to help expedite the Afghan peace talks, Washington's special envoy for Afghanistan Zalmay Khalilzad said.Khalilzad, who returned to the US from almost a month-long peace mission to South Asia and the Middle East, said on Friday that he had discussed conditions for the withdrawal of American forces from Afghanistan with the Taliban, but there had been no agreement on this issue yet, Dawn news reported. Speaking at the US Institute of Peace here, Khalilzad acknowledged that the US and the Taliban had reached a framework agreement in Doha last month, but more talks were needed for reaching a conclusion.Responding to a question about Pakis­tan's role in facilitating the US-Taliban talks, he said that Islamabad had played a constructive role and released Mullah Baradar "at my request". 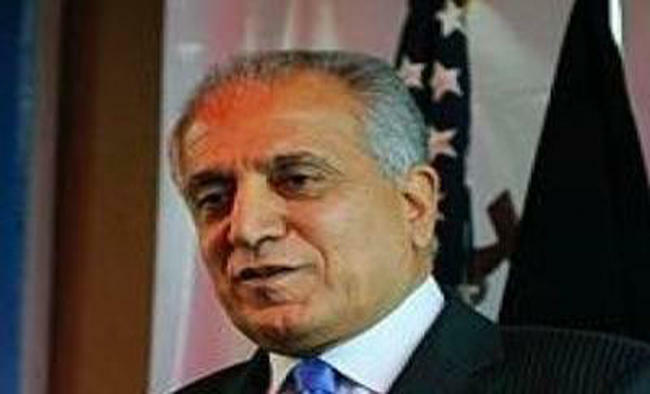 Khalilzad said that he requested Baradar's release because he believed the senior Taliban leader could also play a constructive role in the Afghan peace initiative.Appreciating the role Islamabad was playing in promoting peace talks, Khalilzad said: "Pakistan is an important country and we want better relations with Pakistan." Pakistan has also said that last month's talks between the United States and the Taliban were a "major diplomatic victory" for all sides.Mullah Baradar was released in Pakistan in October.Before his arrest in 2010, he was believed to be the military chief of the terror group, led by Mullah Omar who had died in 2013, although the news was made public only two years later.